Here is another unique opportunity that I am going to let go from my personal collection. 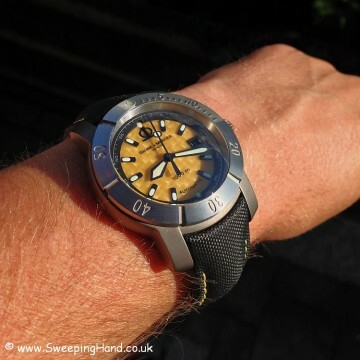 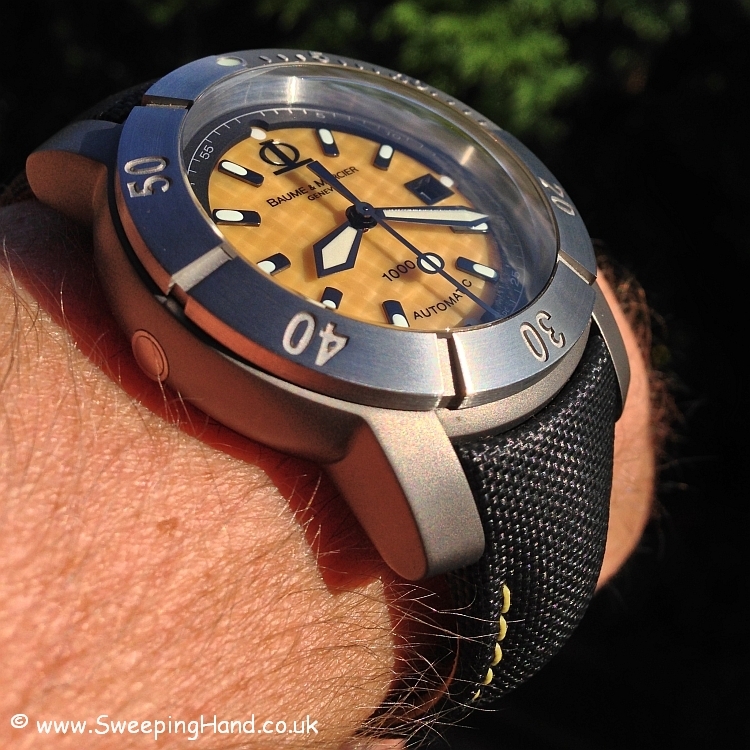 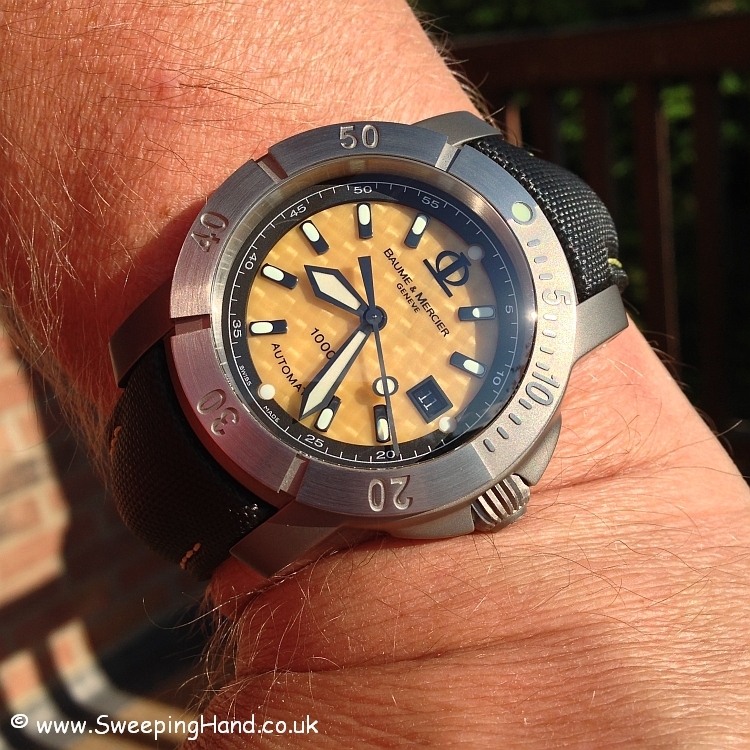 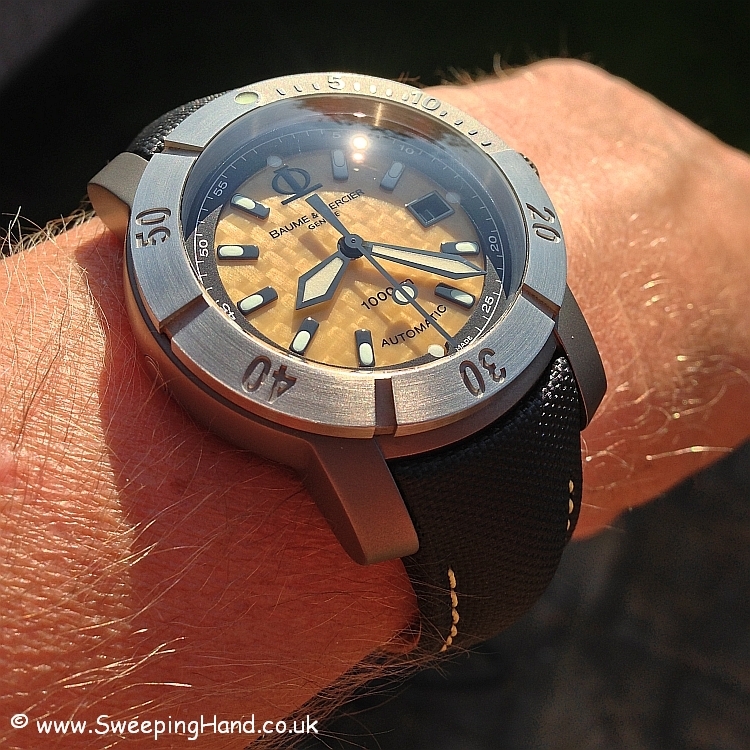 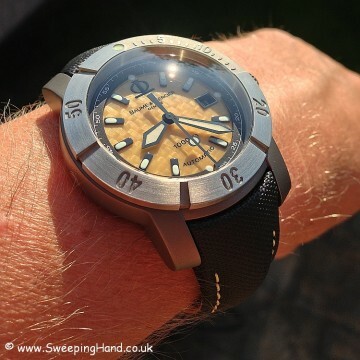 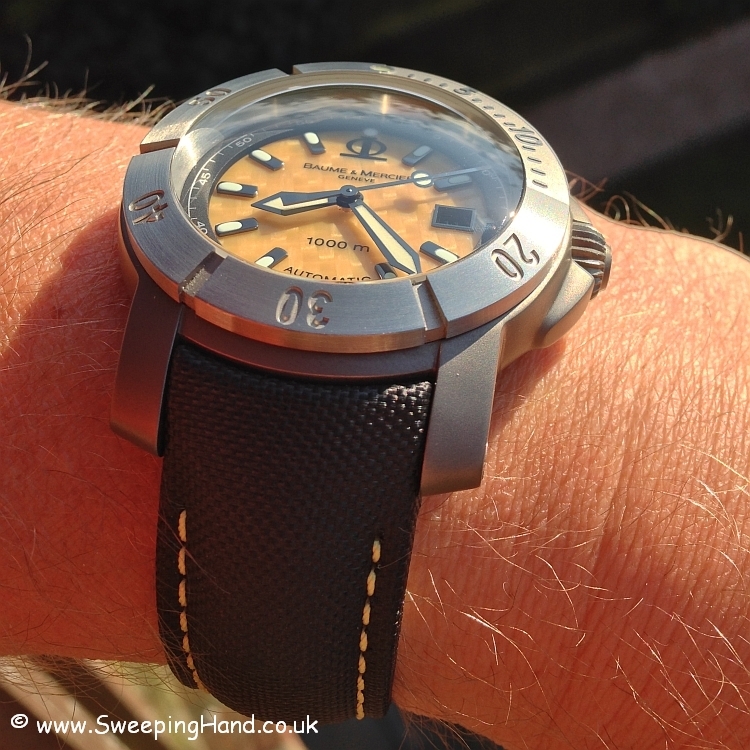 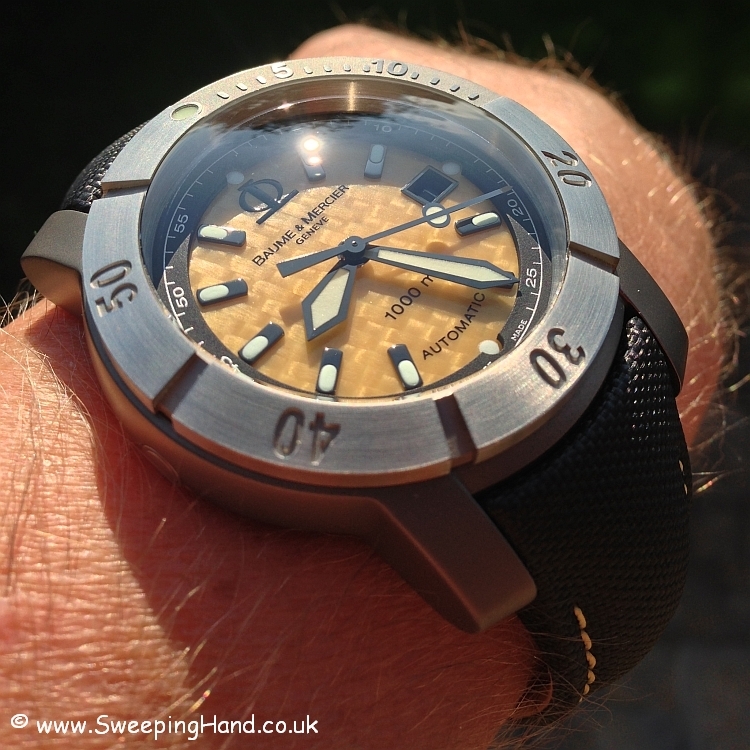 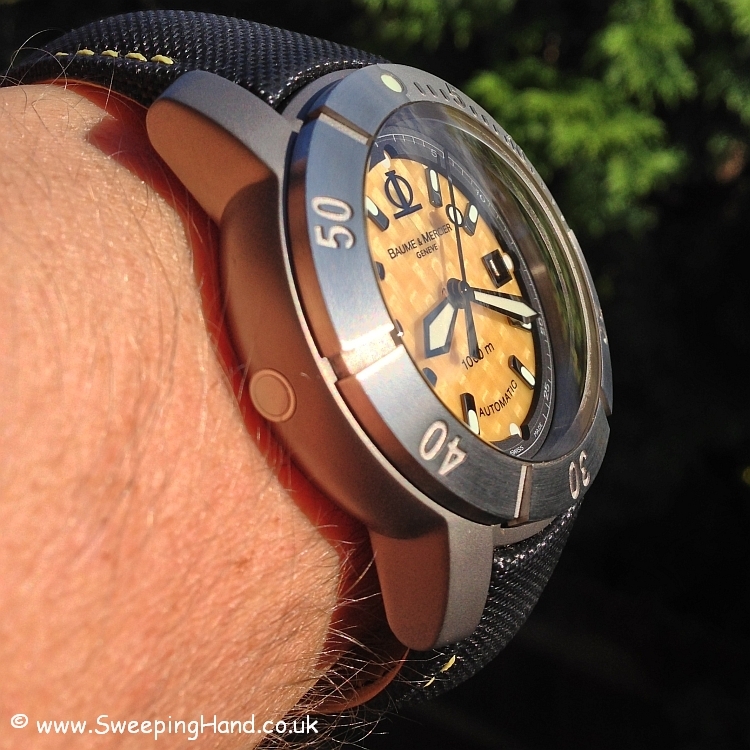 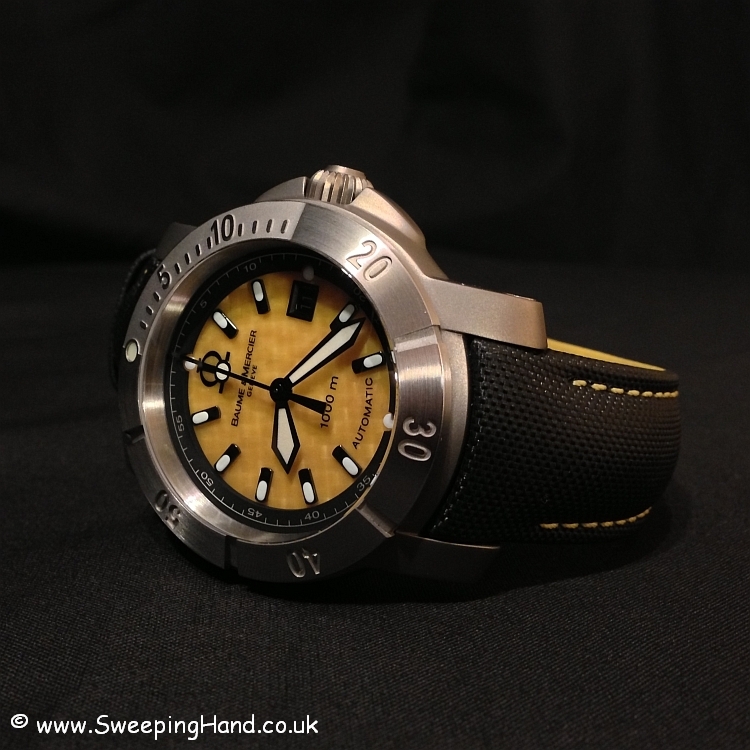 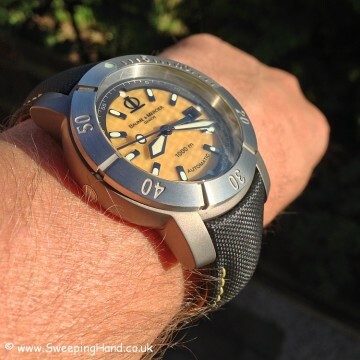 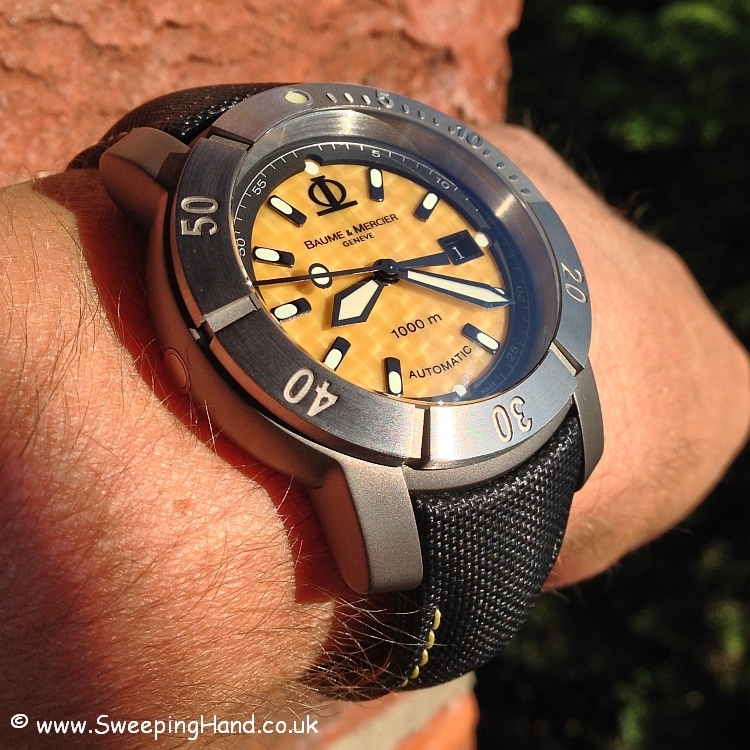 A BRAND NEW still stickered unworn (bar this once for the wristshots!) 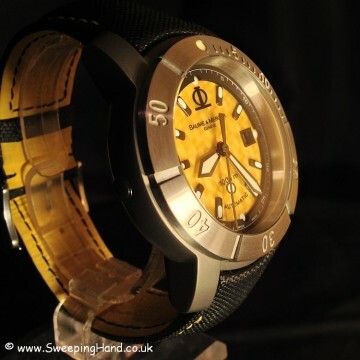 Baume & Mercier Capeland S-XXL 1000m diver!! This is a truly stunning watch, and I’ve had quite a few that have been used as weekend beaters, but this one I have had for many years, was brand new with stickers still in place and all original boxes, unstamped warranty card and it stayed in my safe untouched and so is pristine! 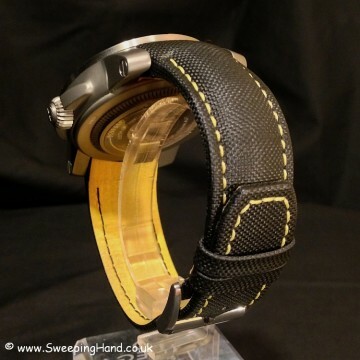 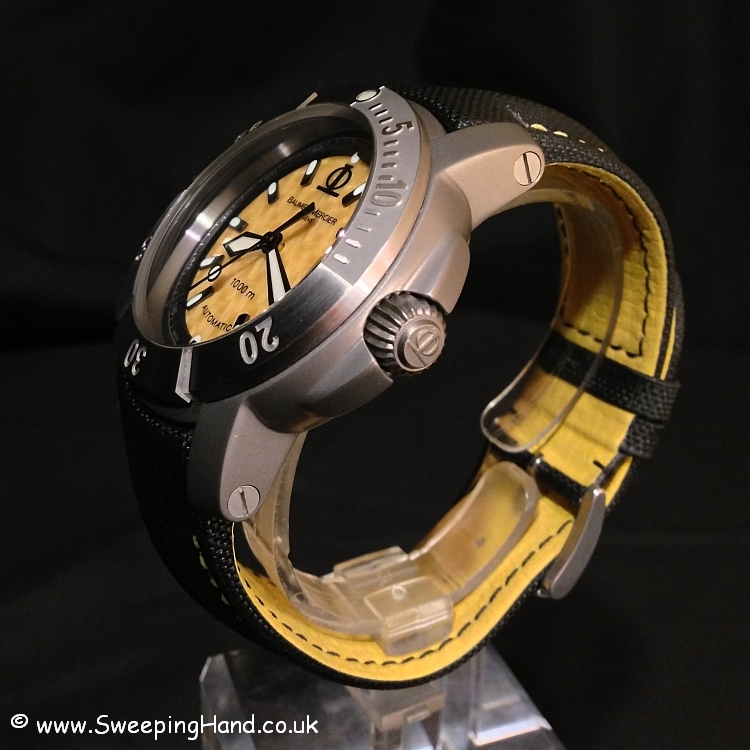 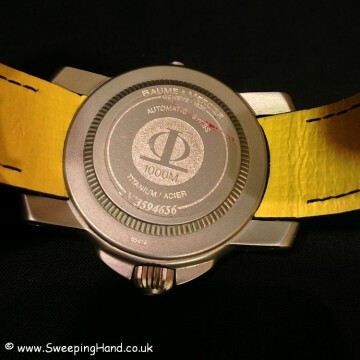 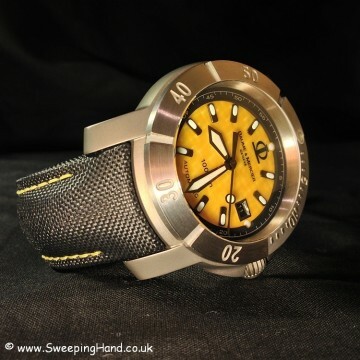 As you would expect on a brand new watch the dark titanium case is mint, the domed crystal is mint, the woven kevlar dial is superb, the yellow stitched kevlar sailcloth strap is still stiff from zero use, the rubber strap with stainless steel clasp is untouched and only taken out of its plastic wrapping for these photos. 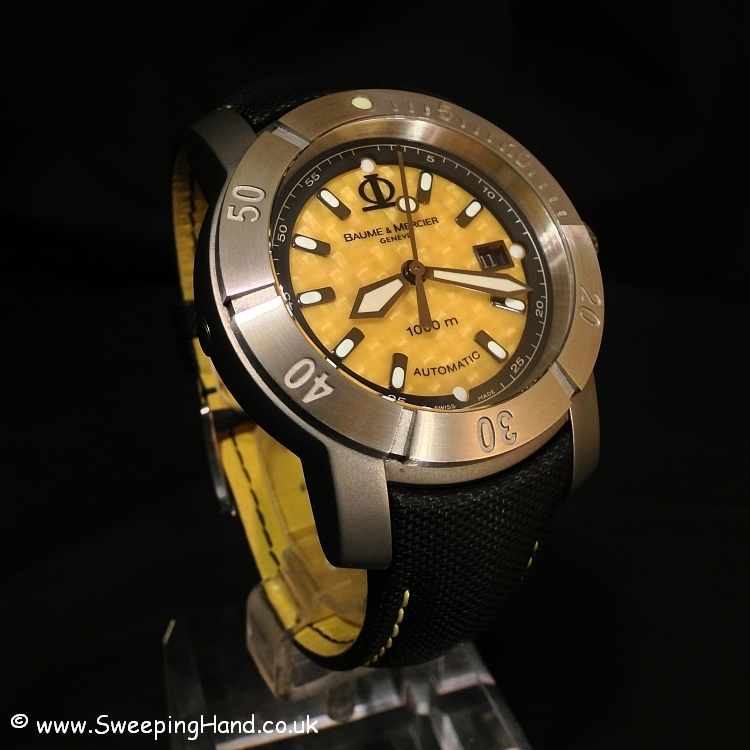 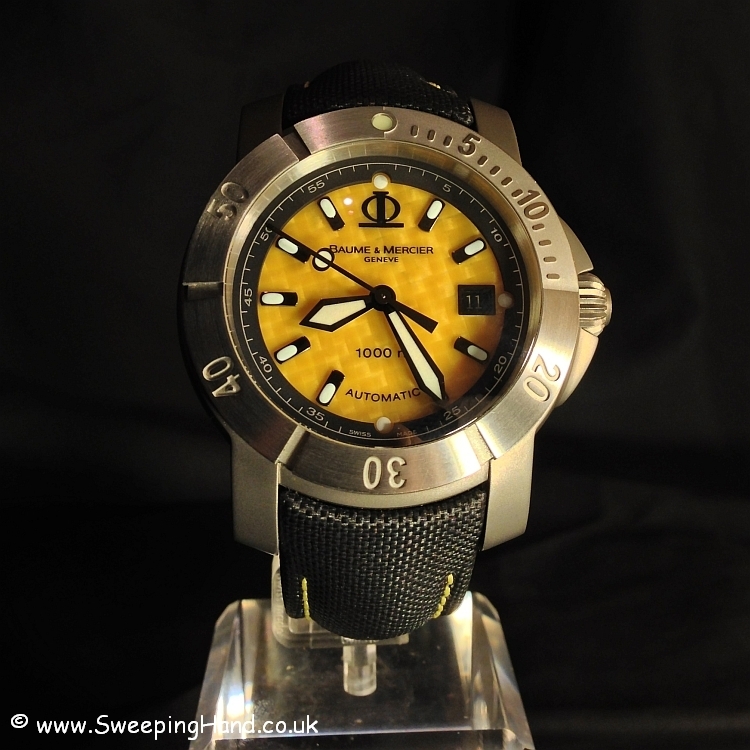 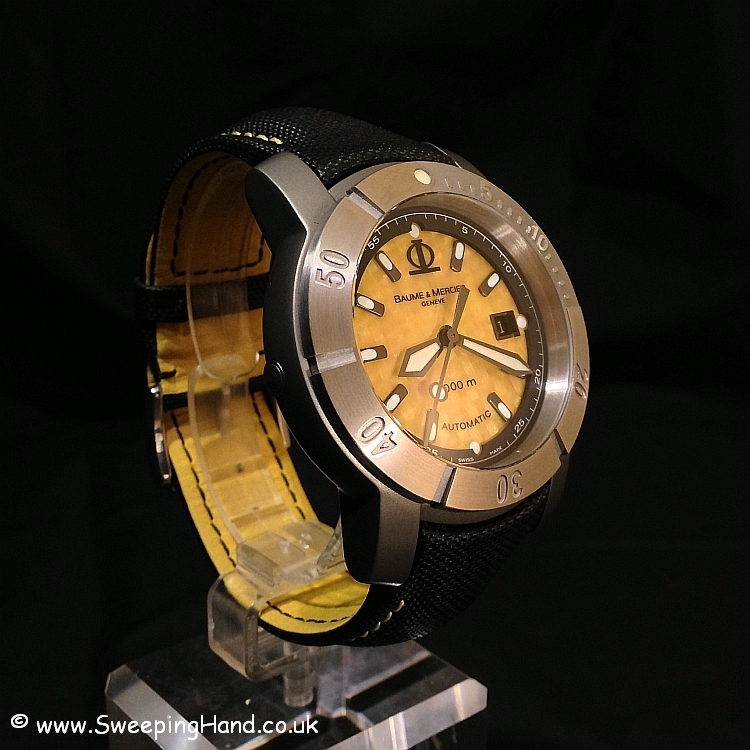 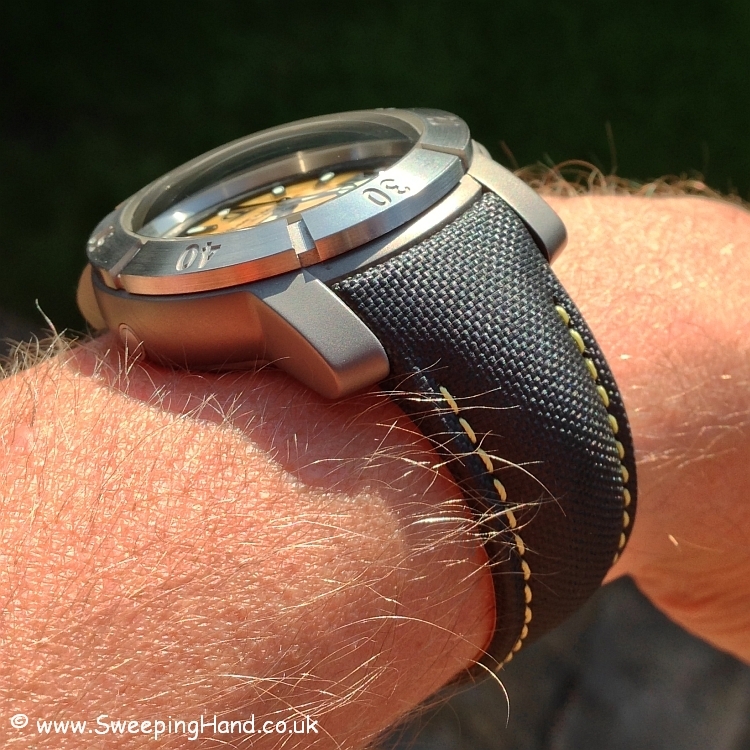 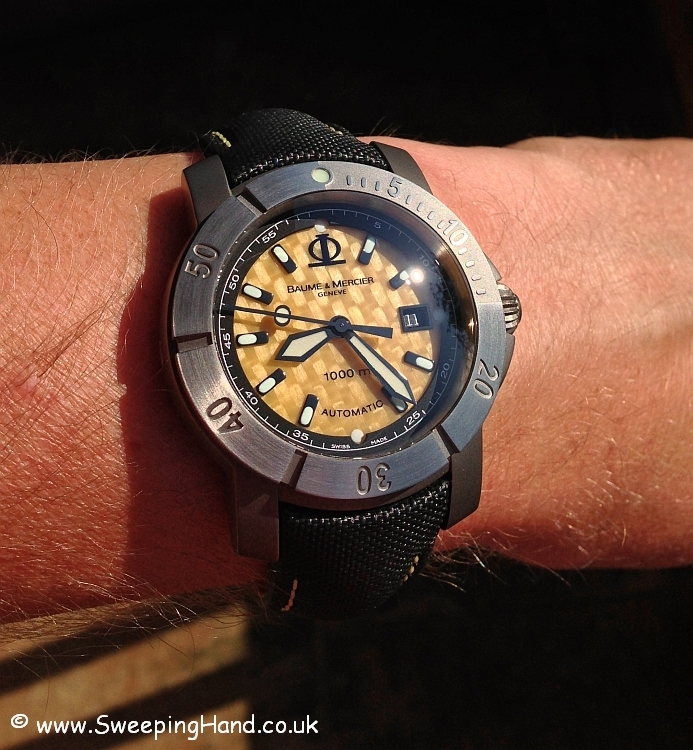 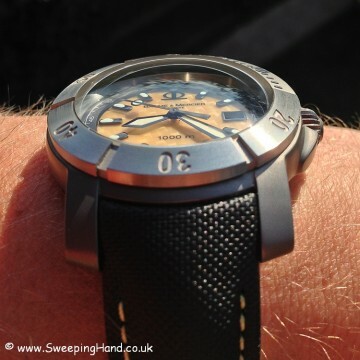 This watch just oozes with character and really is stunning on the wrist. 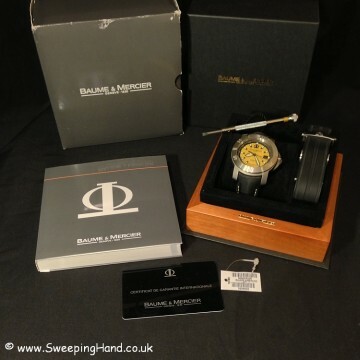 This is a unique opportunity to treat yourself to a brand new watch that has gained critical acclaim with collectors after only being produced for a very short period. 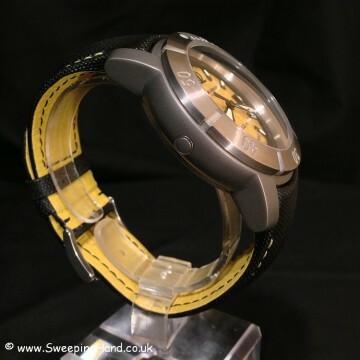 Can you please tell me the status of the sale of this watch. 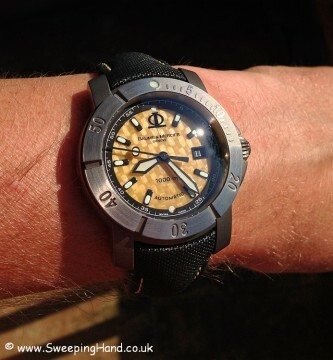 I would like to purchase this model.